Tela-Blast – RV Holding Tank Cleaner – Telamode Canada Inc.
Tela-BLAST is a synergistic formulation that blends three strains of bacteria chosen for their ability to control odours and to facilitate waste digestion. 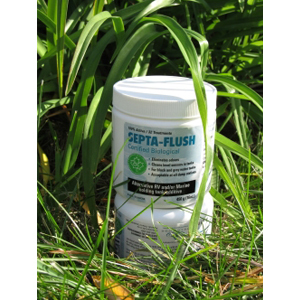 A safe and natural replacement for formaldehyde and other poisons. Contains bio-degradable fragrance for an instant fresh scent when used. 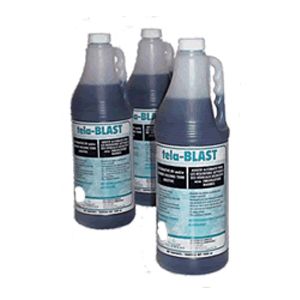 Tela-BLAST can also be used for deodorizing and cleaning toilet bowls, sinks, shower stalls and garbage bins. 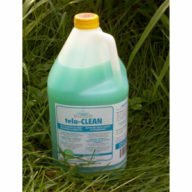 Just dilute 4 parts water to 1 part Tela-BLAST and clean. This product comes in 1 litre and 4 oz bottles. Please phone us at 1-800-263-2951 for campground/commercial pricing.